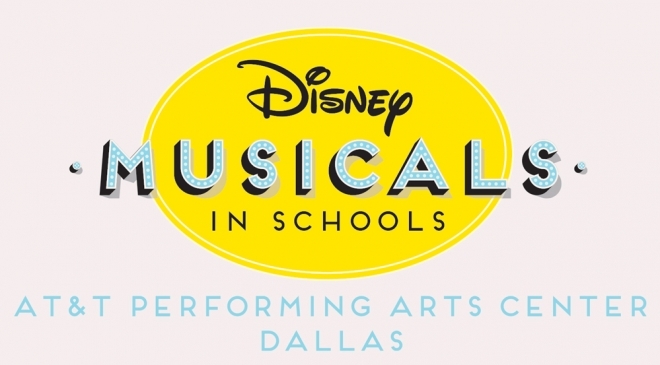 The nonprofit AT&T Performing Arts Center is pleased to announce the five schools that have been selected to participate in the 2019 Disney Musicals in Schools program. The program is an initiative developed by Disney Theatrical Productions to create sustainable theatre programs in under-resourced elementary schools. The five schools are a part of Dallas Independent School District. The five schools include L.O. Donald Leadership Academy, Ronald E. McNair Elementary School, School for the Talented and Gifted in Pleasant Grove, K.B. Polk Center for Academically Talented and Gifted, and Solar Preparatory School for Girls. The selected schools will begin a 17-week musical theatre residency in the spring. Each school will receive performance rights, education support materials and guidance from two teaching artists. The program features a professional development focus, through which participating school teachers partner with AT&T Performing Arts Center teaching artists to learn how to produce, direct, choreograph and music direct, culminating in their first 30-minute Disney KIDS musical at their school. As a capstone to the experience, AT&T Performing Arts Center will host a Student Share Celebration in which each school performs one number from their show on the Winspear Opera House stage for an audience of students, teachers, family, and community members.